2018 – Expansion on HIV Prevention continues in Mukuni Chiefdom with the focus on empowering youths, mentoring orphans, reducing the number of teenage pregnancies, and tackling alcohol abuse. The peer educators are currently attending colleges and perform workshops in their free time. They aim to enrol more peer educators in 2019. 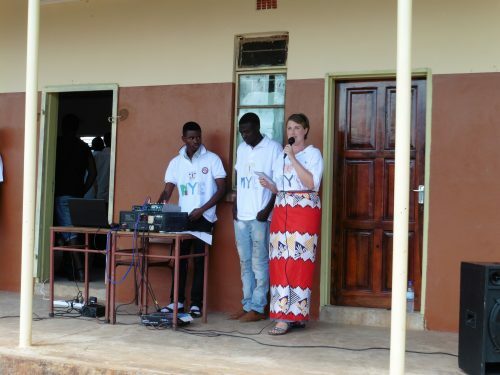 2017 – The peer educators, now known as the Zambezi Youth Empowerment Group receive extensive training from Leah Black, who volunteered in Zambia for two months and has since joined the UK team. Leah has given the group tuition in mentoring and coaching, which is proving very effective with young orphans on our orphan sponsorship programme. In 2011 Mutsa Marau joined The Butterfly Tree and wrote a programme to help alleviate new cases of HIV amongst the rural communities we work in. ‘Catch me if you Can’ was first put into practice in 2011. Mutsa funded her own trips to Zambia, and staying for several months, working with groups of school children in Mukuni Village. After holding several workshops Mutsa selected fifteen peer educators for this programme and set about making the change. The group went to the villages of Kamwi, Ngandu and Nsongwe to teach the pupils about the dangers of HIV and how to prevent contracting and spreading this devastating virus. 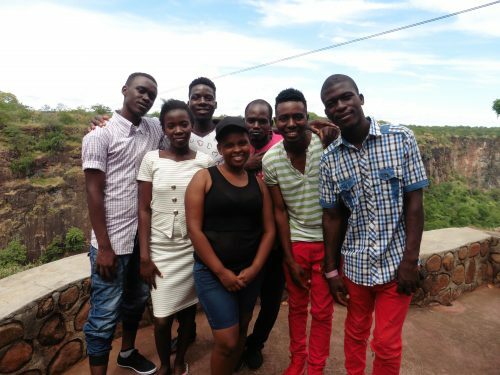 Mutsa continued to raise funds for this project and returned to Zambia in 2013, with her friend Tope, to work with the peer educators. 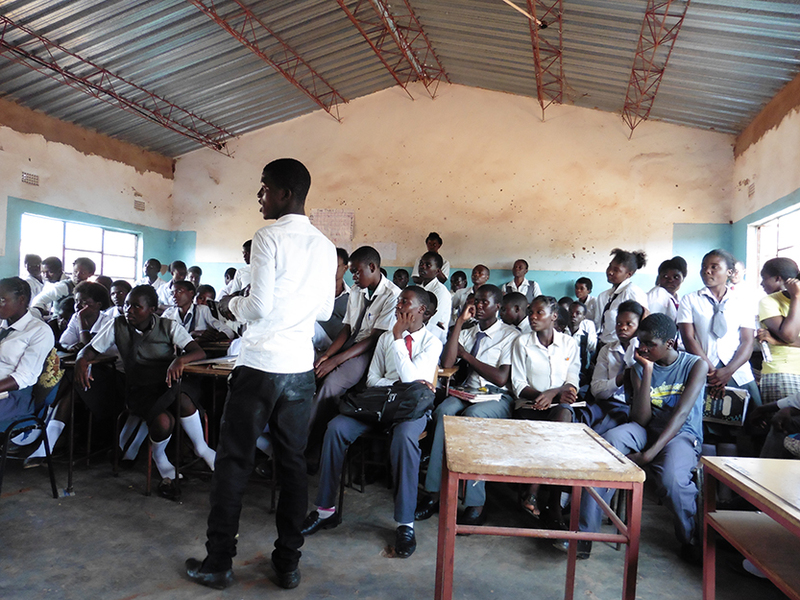 2014 – more workshops have taken place at schools within the Mukuni Chiefdom. The group are holding actives in Mukuni Village to mark WORLD AIDS DAY on December 1st. 2015 – sadly HIV is on the increase in some of the villages. Working alongside Mukuni Health Centre we will step-up our HIV prevention workshops using the group of peer educators originally trained by Mutsa Marau. 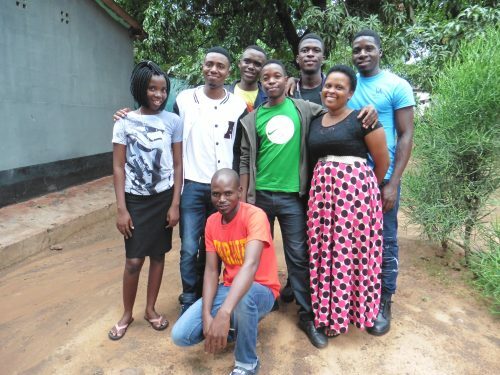 2016 – The Butterfly Tree continues to fund HIV prevention workshops using peer educators. They are reaching out to schools in Mukuni, Sekute and Nyawa Chiefdom. Soem of the youth group have now gone to college, though more have joined the five of the original members. 2017 – The peer educators, now known as the Zambezi Youth Empowerment Group receive extensive training from Leah Black, who volunteered in Zambia for two months and has since joined the UK team. Leah has giving the group tuition in mentoring and coaching, which is proving very helpful to young orphans on our orphan sponsorship programme.